Many Building Does that started in the roof of the building (Green Roofs) for a little muffled, and it is hot air embellish. In fact not only for building our own home but can also do things like this. Making over the garden or on the top of the house and even the plants can be placed not only make your home or a little more beautiful, but also can reduce the temperature of the heat in the house. According to existing data, when the plant is in the eaves have about 10 cm high it can reduce the AC around 25%. A room that is located right under the Green Roof has a lower temperature at around 3-4 ° Celsius compared with the air temperature outside the room. 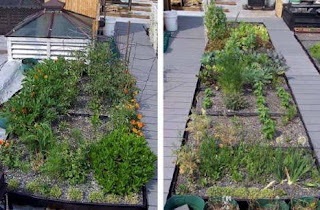 In addition to providing little comfortable in the house, plant house on the (green roof) can also reduce the damage to the roof, ie the concrete cracked, and so forth. 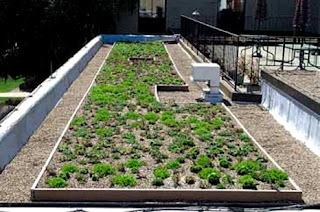 Green Roof also function as air filters that make the air clean, and as more information, 1 square meter at the grass roof can remove approximately 0.2 kg of particles of dirty air every year. Not many but if all people do the same, it will be the changes mean for our beloved earth is. Create a garden on the house (roof), Dificult? The most important is the basis (the roof) that can be used to accommodate the water and does not leak and disposal channel is also important to note. And last, how do you think tospread? It looks like we will also try and let us be successful if we do so.